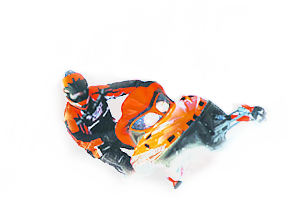 Private Snowmobiling Tours are perfect for corporate retreats, family reunions, bachelor parties and groups of friends. These tours can also be catered with gourmet box lunches. Our Private Vail Snowmobiling Tours offer the perfect opportunity for friends, families and coworkers to explore Colorado's magnificent backcountry with their own private guide. Whether you're taking part in a corporate adventure, family reunion, holiday celebration, anniversary or bachelor party, we offer the flexibility to provide Snowmobile Groups of any size with the adventure of a lifetime. Exclusive versions of our High Performance, Top Of The Rockies and Tigiwon Tours are available with multiple departure times offered daily. 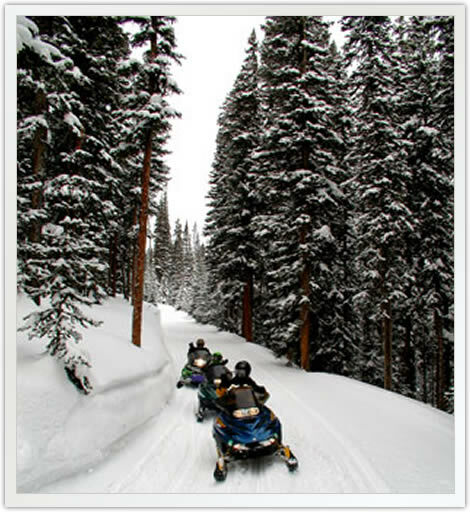 Complimentary Group Snowmobiling transportation is available from the towns of Vail, Beaver Creek, Avon & Edwards, Colorado. Helmets, snowsuits, and boots are provided free of charge to all group members at our snowmobile base camp. Please be sure that everyone brings their own gloves or mittens as well as ski goggles or sunglasses for eye protection. 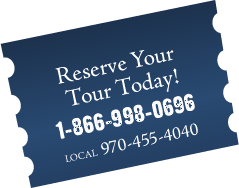 Call us toll free at 1.866.998.0696 or locally at 970.455.4040 to book your Private Group Snowmobile Tour. 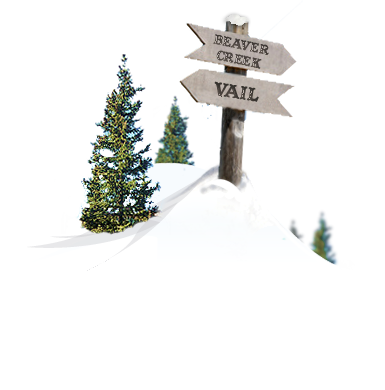 Vail and Beaver Creek Group Snowmobiling Tours have a 24-hour nonrefundable cancellation policy. Snowmobiling is not recommended for children under the age of 2. A signed liability waiver is required prior to all tour departures. We request that guests who provide their own transportation arrive 1/2 hour prior to tour departure. Helmets, boots and outerwear are provided at the snowmobile base camp free of charge. Please bring ski goggles or sunglasses for eye protection and a warm pair of gloves or mittens.